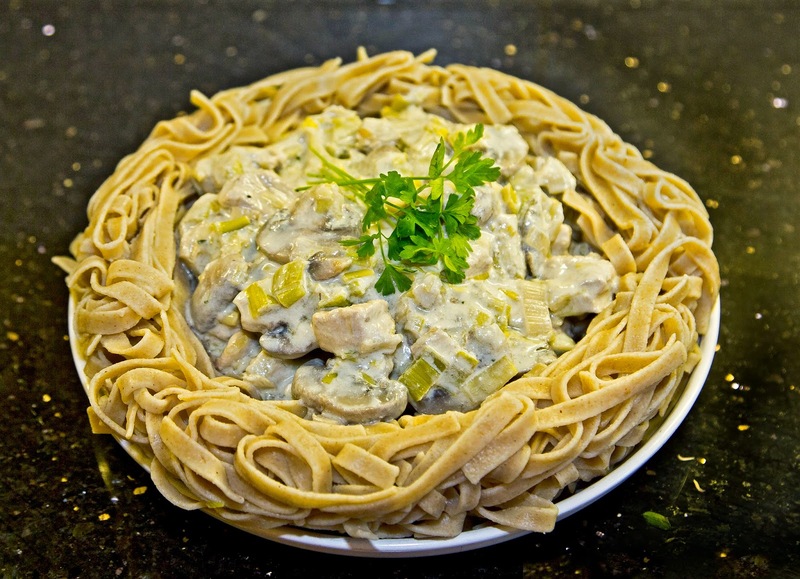 This dish is nowhere near as difficult as it looks and is sure to impress your guests. It has plenty of superfree, especially as I served it with carrots, sugar snap peas and baby sweetcorn. 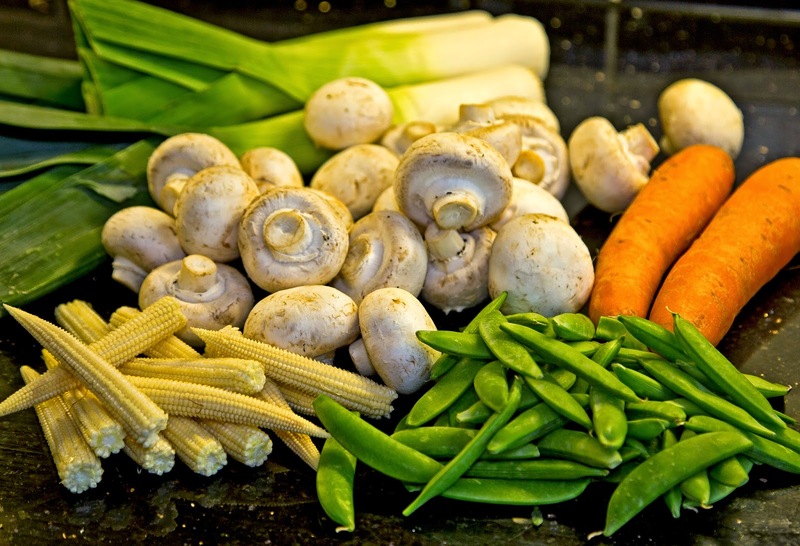 Sauté the turkey, mushrooms and leeks in Fry Light until the vegetables are soft and the turkey cooked through. Turn the heat right down and add fromage frais, bouillon powder, mustard, sweetener and Worcestershire sauce to taste. Stir until heated through, but make sure it doesn't boil at it will curdle. You may want to add some water to get the right consistency. Meanwhile, cook the tagliatelli as per packet instructions, and drain. Grease a doughnut-shaped baking tin and stuff the pasta in the ring. Place a flat serving dish over the top and put the whole thing in an oven on very low for a few minutes to firm it up a bit. It is best to have a dish that is quite a bit larger than the size of the ring as the content will spill over the edge when you cut into it if the plate is too small (as I found out). When you are ready to serve, turn the plate upside down and ease the tagliatelli out of the ring. 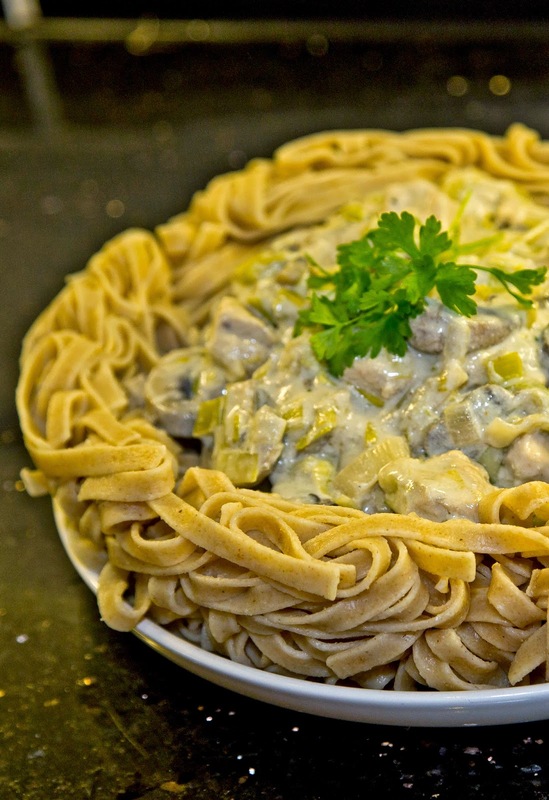 Spoon the stroganoff into the centre and serve with vegetables or a salad.